This was an Drupal 7 upgrade of an existing Drupal 6 site for an air conditioning supplier based in Mullingar. The client wanted to move to a more image, rather than text focused means for promoting the system. So we have a number of sliders and image galleries. There is also a location map, FAQ & News sections and contact form. 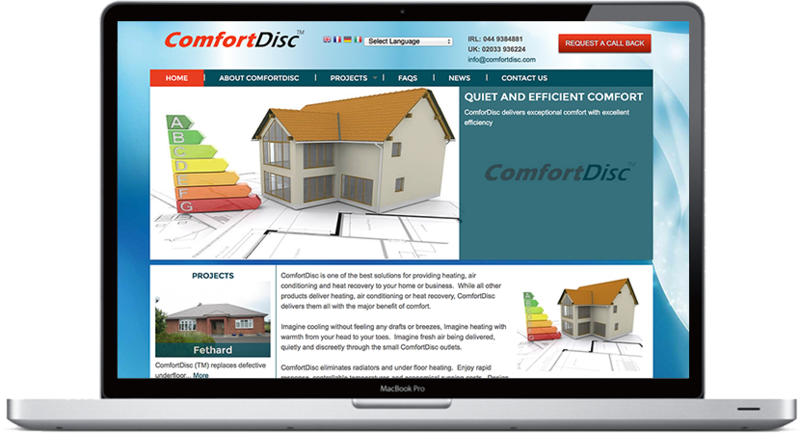 I employed the expertise of Compass Digital to code our redesigned ComfortDisc.com website. Nick is a seasoned professional at Drupal and implemented many innovative Drupal modules to get the best out of the design with increased functionality and usability. Nick's enthusiasm, patience and dedication delivered the website on time and on budget. It was a pleasure to work with someone who understands web design and functionality.